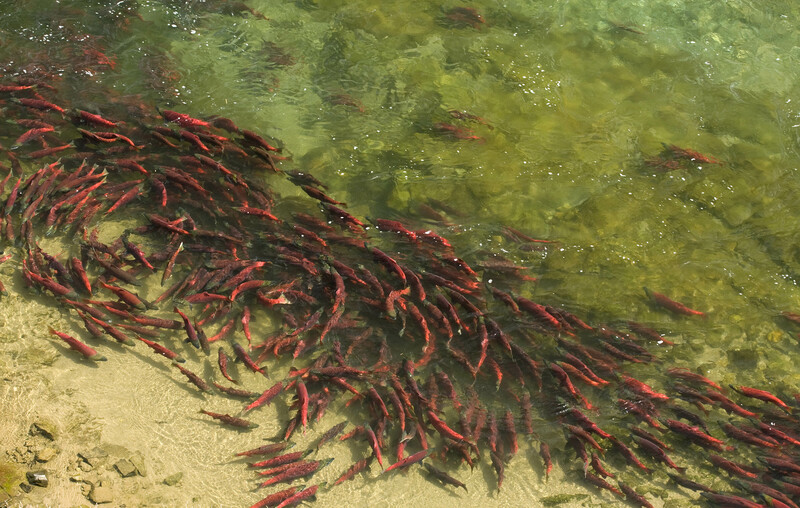 Protect Bristol Bay’s salmon from Pebble Mine! Bristol Bay provides some of our nation’s most important salmon habitat, and the proposed Pebble Mine threatens not just the world’s most productive sockeye salmon run, but the people, jobs and wildlife thriving in the region. I support the ‘No Action Alternative’ that would prevent the mine from being built, and ask that you reject any permits to allow the proposed Pebble Mine in the Bristol Bay region of Alaska. Right now, Bristol Bay — located in Southwest Alaska — is threatened by the massive Pebble Mine. This region boasts the world’s largest sockeye salmon fishery that supports thousands of jobs, and its strong salmon runs allow for the continued subsistence traditions of 30 tribes in the area. Despite this, the developers behind Pebble Mine — Northern Dynasty Minerals and its Pebble Partnership — have pushed their plans forward to develop an open pit mine, putting at risk fish, wildlife and the livelihoods of people who depend on the Bristol Bay watershed. The initial proposal is massive — it would destroy more than 3,500 acres of wetlands and roughly 80 stream miles, while only accessing 1/8th of the deposit. Based on Pebble’s own statements, repeated many times over the years, we know that this is just the tip of the iceberg and the real plan is to expand in the years to come, eventually mining the full deposit. Tell the Army Corps of Engineers to reject the permits for Pebble Mine.